Michael Coleman is a leading expert on California local government revenues, spending and financing. 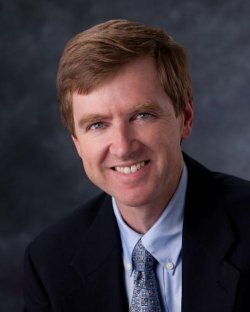 He is the creator of CaliforniaCityFinance.com, the California Local Government Finance Almanac, an online resource of data, analyses and articles on California municipal finance and budgeting. He is the principal fiscal policy advisor both to the California Society of Municipal Finance Officers (CSMFO) and, for over twenty years, to the League of California Cities. Coleman is a popular presenter at graduate schools and conferences and is the author of numerous articles and references including the California Municipal Revenue Sources Handbook, and - as co-author with Mike Multari, Ken Hampian and Bill Statler – the Guide to Local Government Finance in California published by Solano Press. An experienced city fiscal officer, Michael previously worked for the cities of San Mateo, Milpitas, Daly City and Sacramento. He received his BA in Policy Analysis from UC Davis and his MPA from the University of Southern California, and is a graduate of the Coro Fellows Program. In February 2013, the California Society of Municipal Finance Officers honored Michael with their Distinguished Service Award for dedicated service and outstanding contribution to the municipal finance profession. A wide variety of topical and regularly updated issue briefs and data resources on city revenues, spending, finance and governance topics is available atwww.CaliforniaCityFinance.com For regular news and updates you can become a "fan" of the California Local Government Finance Almanac on Facebook.